To book or re-book a time and date to fly please call the office on 01384 221130 or 07930927698 or the alternate office number 0121 457 8337. We recommend booking your flight early to avoid disappointment. No guarantee can be made as to the availability on any particular day so please be as flexible with your booking dates where possible. You MUST call the flight line number on 07930927698 after 8:30am on the day of your flight for an assessment of the conditions. Please get to the airfield in plenty of time for your flight. Check out our website for directions - click here.. Weather is a big factor in all our flying. The conditions under which we fly are closely monitored and if it rains or the wind is too strong or poor visibility your flight may be postponed or re-scheduled. Remember, this is the weather at height and may not be the weather you are experiencing on the ground! If your flight is cancelled, shortened or delayed due to weather conditions, please remember that it will be because your safety and well-being is paramount. Bring a jacket and warm clothes in winter and lighter clothing in the summer. Sensible footwear is needed, walking boots or trainers are ideal. Long hair must be tied back. All other flying equipment will be provided. Vouchers are only available on payment of the full fee and are valid for 9 months from the date of issue. After 9 months vouchers may be re validated for a further three months on payment of an additional fee amounting to 50% of the fee currently at the time when the voucher was brought. A refund of the full amount less £10.00 administration charge will be given on all cancellations up to and including 30 days prior to date of booking; between 30 days and 48 hours a 50% refund; less than 24 hours no refund given. Any booking not amended/re-scheduled more than 24 hours before 9am of the date booked, you forfeit that training flight. (N.B. This does not apply to instructor amending times due to adverse weather conditions and/or flight safety issues). Once airborne, if a request to cancel the flight is made by the participant, no refund or re-scheduled flight will be permitted. HadAir has £1,000,000 legal liability insurance which covers the flight and third parties only, not on the ground or in the HadAir building. You undertake this flight at your own risk and in knowledge that any accident in or around the airfield whilst attending a flight is not the responsibility of HadAir. SAFTEY is our prime concern. We reserve the right to terminate individual flights and training courses at any time if in the opinion of our instructing staff safety is compromised. THE DECISION OF THE CFI WILL BE FINAL AND BINDING. The minimum age to fly solo is sixteen. 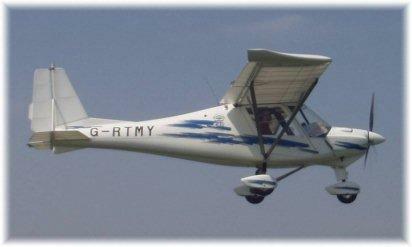 There is no lower limit for dual flights but less than eighteen years of age parental consent is required. Click here for the Parental consent form which must be brought with you on the day of your flight. There is no upper age limit although in the interest of your own safety you must give details of any medical conditions that may affect your ability in the air , including motion sickness. If you are a smoker please advise a member of the HadAir staff as soon as possible as altitude restrictions may apply. If you are in any doubt please contact your GP for advice. You must NOT fly if you are pregnant or under the influence of alcohol or drugs. 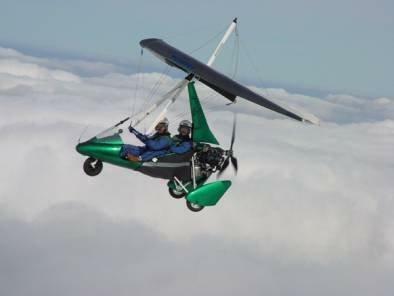 The weight limit for the Flexwing microlight aircraft is 14.5st and the Fixed wing microlight aircraft is 15.5st, MAX. Your weight should be in proportion to your height. If you fail to meet any of these requirements please call the office immediately. FLYING IS A RISK ACTIVITY. YOU UNDERTAKE TO FLY WITH US IN THE KNOWLEDGE THAT DESPITE THE BEST EFFORTS OF HADAIR AND ITS STAFF FLYING CAN LEAD TO INJURY OR WORSE.